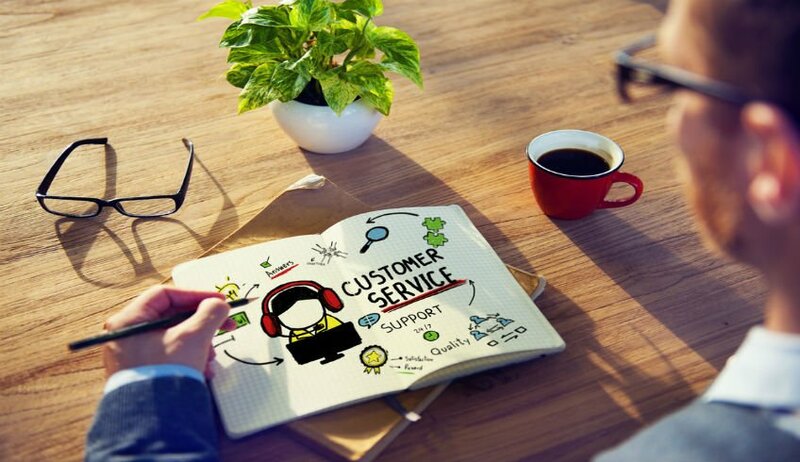 Any company can say they have superior customer service, but how many really do? Excellent customer service is not something that can be achieved overnight. Instead, it’s often the result of high-quality training and a company culture that makes customers a top priority. It’s proven that quality customer service leads to higher sales, so it’s important for companies to repeatedly ask themselves if they’re providing an acceptable customer service experience. Does yours? Establishing the right company culture is a great first step. But to nail down specifics and make sure customer service departments are truly excelling, management must provide the opportunity for high-quality and effective training. When coached to be engaged and helpful, customer service reps are a huge asset to your team. Customer service employees are the ones directly communicating with people buying your products, so it’s crucial to make sure each customer feels valued and respected. After all, positive interactions between companies and customers are essential for developing loyal patrons and improving sales. To properly train a team of customer service reps, design online training courses that give employees the skills they need to succeed. These five tips will help get your training initiatives off the ground. There’s a rule that all instructors, whether college professors or grade school teachers, try to follow when presenting information that’s important to remember: Show them, don’t tell them. When it comes to online learning, and trying to teach employees the best way to talk to customers, visual aids can make all the difference. Incorporate videos into training courses that show positive communication between service reps and customers. In years past, it was common for new hires to read through packets of company policies and goals. This method of training isn’t as effective as management would like; employees have a tough time consuming and retaining information that seems boring and repetitive, especially if they also have difficulty relating to it. E-learning provides a huge opportunity to include different types content into training courses, including videos, images, interactive games and quizzes, audio, and more. Some situations are hard to predict, especially in customer service. Work in a call center long enough, and you’ll have stories you can tell for years. The unique customers and their bizarre situations will always stand out, but most interactions will follow similar patterns. It’s important that customer service representatives are ready for a variety of possible scenarios, and know how to handle common issues. In online training courses, put together a list of realistic situations that service reps will likely encounter, and use those to teach new employees how best to handle each one. One of the best ways to develop these scenarios is to cull them from the archives (audio recordings and/or online transcripts) or to interview experienced customer service reps. Customer service reps often have the unenviable task of dealing with unhappy customers for long stretches of the day. Staying positive in these situations can be difficult. It’s natural for employees to occasionally wonder to themselves, "What’s the point?" Good management with quality training can help teams stay in front of this attitude. It's important that teams know the value of good customer service and why their job is so essential. This understanding will reflect in the conversations reps have with customers. Ultimately, this has an impact on the customer, the company, and even the representatives themselves. Taking the time to listen to customers' complaints and striving to effectively solve their problems can set your company apart from the competition. Some situations that fail to meet adequate customer service standards boil down to the rep not necessarily providing bad service, just not being prepared enough to offer the right service. For example, maybe an employee's greeting sounds a little stiff on the phone, or your team could be more empathetic when listening to complaints. E-training courses provide a convenient opportunity to share examples of what your company considers to be good customer service, versus simply okay customer service. Hint: “good enough” is never enough. Circling back to point number one, providing a video of poor customer service conversations can help solidify vague ideas in employees’ minds. Every company is different and caters to a particular clientele. While many customer service tips can be general enough to apply to most companies and industries, it’s also important for your training courses to specifically relate to your core business. Your company is already familiar with the types of customers they handle day-to-day, and the types of problems these customers need help with, and it’s critical that the customer service team understands this as well. Share insights with the team relating to key product information, deals that may exist, common problems and frustrations, and buzzwords to look out for. All of this will lead to an improved customer service department—and we know that leads to an improved bottom line. Find out how Bridge can help you hit all 5 steps and up your customer service game.